As the battered colonial fleet limps toward an uncertain future, supplies dwindle, taking humanity’s remaining morale with them. 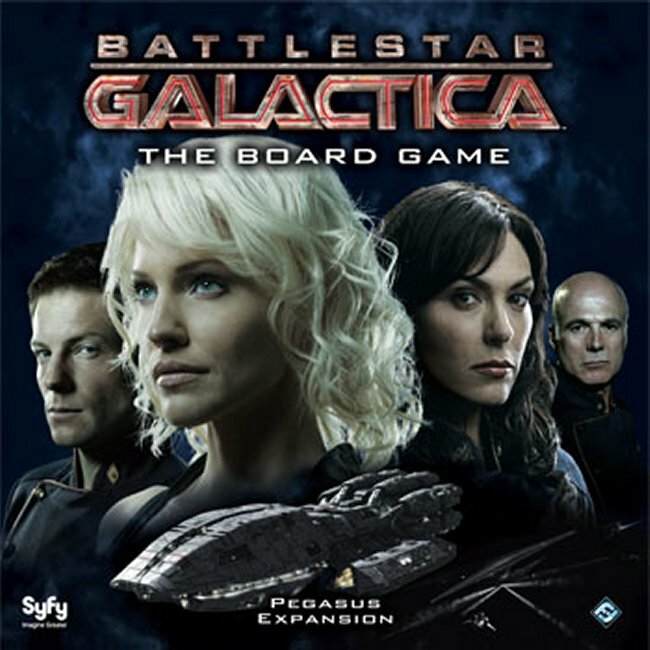 Suddenly, salvation appears as if delivered by the gods: Battlestar Pegasus, nearly twice the size of Galactica and boasting upgraded defensive capabilities, appears to be the fleet’s savior. But will its arrival prove a blessing or a curse? How will the crew react to a new admiral, with a drastically different leadership style? And what dark and malevolent plots are being devised by their sinister Cylon pursuers? 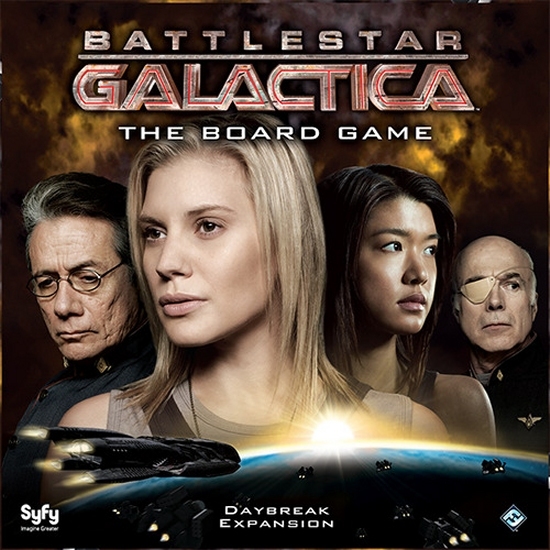 Battlestar Galactica: Pegasus Expansion includes many new game features give fans tons of new ways to play including: two supplementary game boards representing Battlestar Pegasus and the planet New Caprica, as well as seven new characters from the popular series! 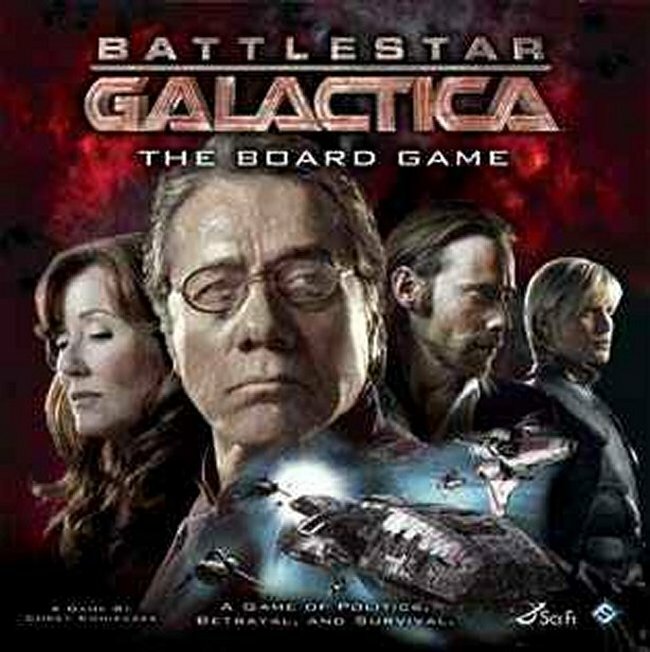 A powerful new character type, the Cylon leader (which can be either sympathetic or hostile toward humanity) utilizes the “treachery” skill type, and inventive rules introduce mechanics for executing characters and escaping New Caprica. 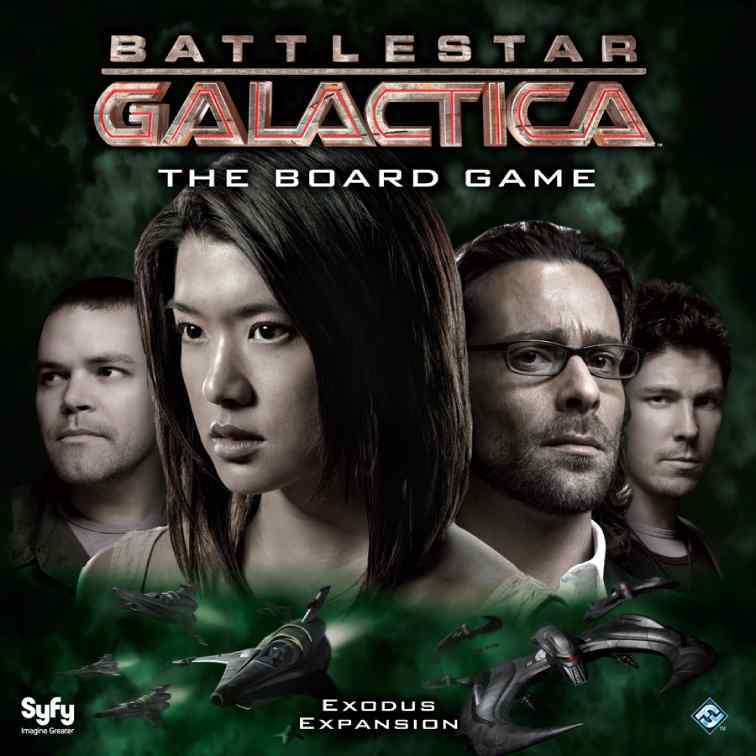 With three new options to add to your game, Exodus is a great way to expand on the accusations and mistrust that runs rampant in Battlestar Galactica.